After almost two years and a “significant” monetary investment, what Google is calling the biggest update to Gmail’s web client since 2011 is now rolling out to both consumer and corporate users. Ahead of today’s announcement, MobileSyrup spoke to Matthew Izatt, one of the product managers that worked on the redesign. Izatt gave MobileSyrup the rundown on all the new UI elements, features and technical enhancements rolling out to Gmail users starting this week. Izatt says Google focused on three main areas when it tasked itself with updating Gmail: security, intelligence and ease-of-use. Headlining the email client’s list of new security features is a new ‘Confidential Mode’ that’s designed to protect sensitive documents like birth certificates and drivers licenses. Moving forward, Gmail users will be able to assign expiry dates to content they send to their friends, family and co-workers. They’ll also be able to limit whether the content they send is forwarded, downloaded and copied. What’s more, this feature works whether the recipient has Gmail or not. Izatt says Google designed Confidential Mode to protect users from hacks that might happen in the future, as well as accidental leaks that happen when other users share information too freely. He says Google believes it can prevent a “significant” amount of the accidental leaks that happen inside of companies with Confidential Mode. 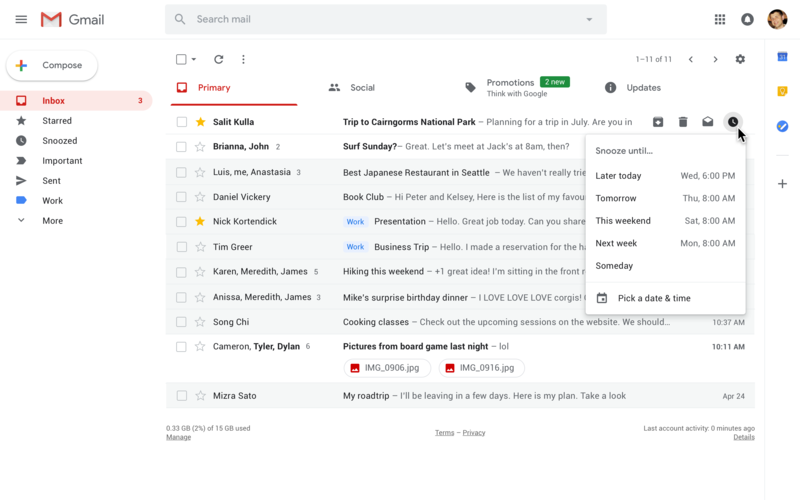 Moreover, while Gmail’s new redesign does a lot to make the email client look more modern, Google also spent a lot of time thinking about how it could use Gmail’s UI to make it more secure. To that end, the company has simplified the warnings Gmail gives to users when it detects potentially malicious emails. 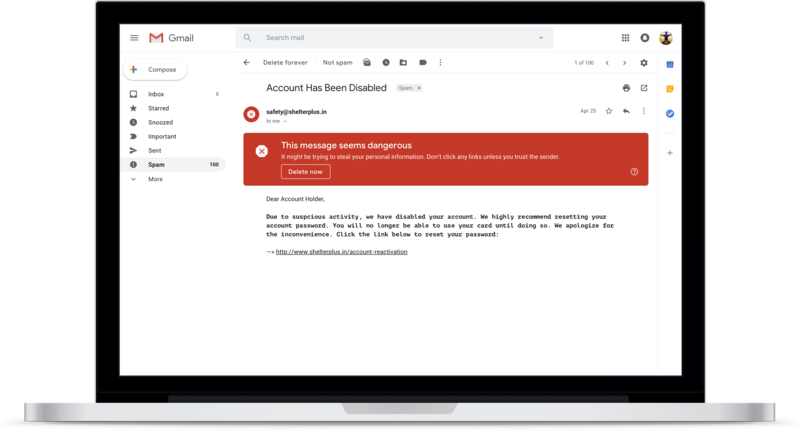 With the new design, when users receive an email that Gmail thinks is clearly malicious, they’ll see a bright red warning, advising them not to open the email’s contents or follow any links. Meanwhile, content that is more suspicious will feature a yellow warning. As with many of Google’s other recent products, Gmail will make significant use of artificial intelligence moving forward. To start, ‘Nudging’, a feature that first appeared in Inbox, is making its way to Gmail proper. Gmail will now remind users to answer emails they may have forgotten to respond to, as well as to follow-up on unanswered emails. 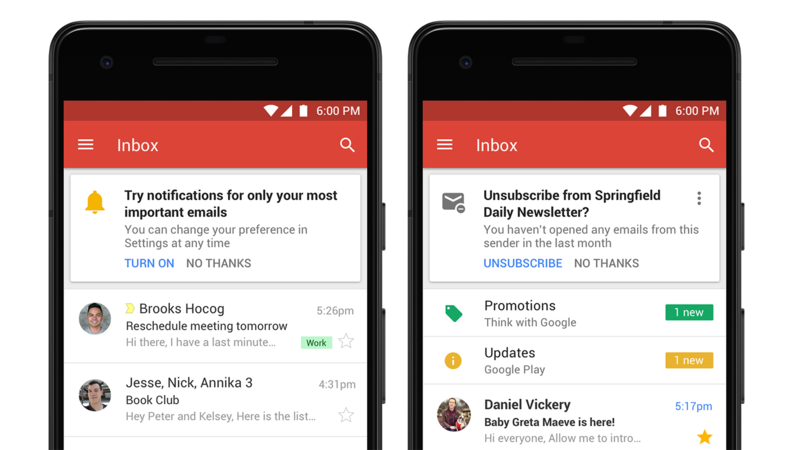 Google has also reworked how Gmail handles notifications. Where previously users either had the option to get notified about every single email they recived, or completely pass on notifications, users can now enable ‘High-Priority Notifications,’ a feature that will only notify the user of the most important emails to land in their inbox. 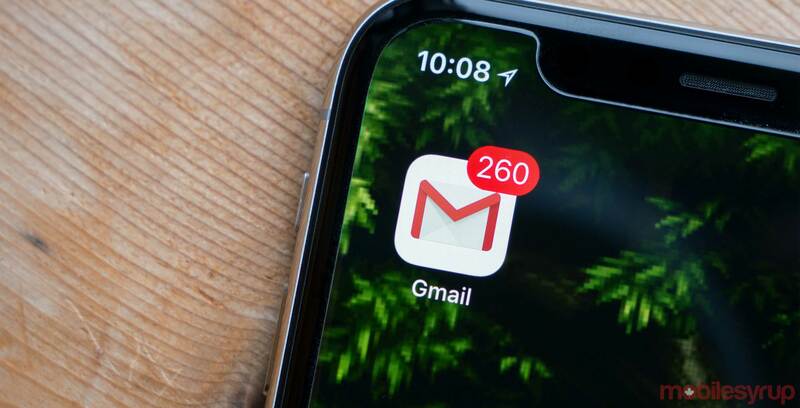 Gmail’s AI algorithm will use machine learning to determine which emails to notify the user of. At the start at least, G Suite users can depend on Gmail to know to notify them when their boss emails them while skipping more trivial messages. Speaking to Izatt, it’s clear Google put a lot of thought into High-Priority Notifications. “What we want to do is reduce the cognitive load on our users and only notify them of the most important emails,” he said. Elsewhere, ‘Smart Replies,’ a feature that’s been available on mobile for some time now, is also making its way to the Gmail’s desktop client. As before, this feature will allow users to pick canned replies to any emails they receive. However, perhaps the most exciting new AI-focused feature is something called ‘Assistive Unsubscribe.’ Taking into account the type of emails the user receives, as well as how much time they spend reading those emails, Gmail will automatically suggest newsletters and reoccurring emails users should unsubscribe from. 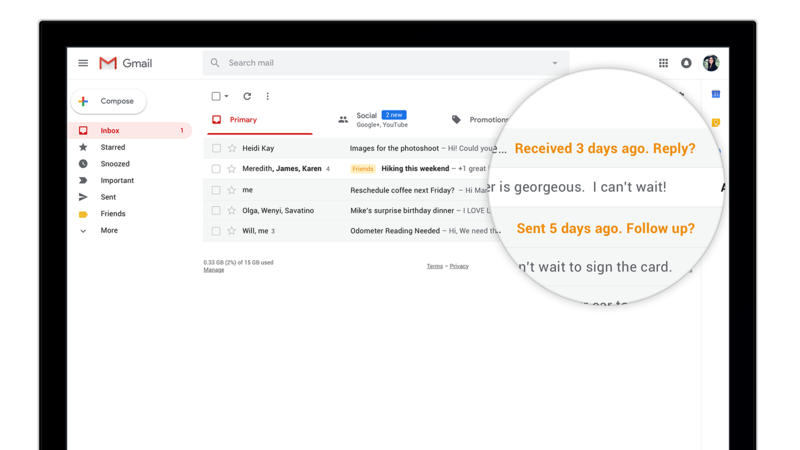 Lastly, on the ease-of-use front, Gmail now features a new side panel that allows users to access G Suite’s Calendar, Tasks and Keep apps directly from the email client. That is, you’ll no longer be required to open a new tab anytime you want to look at Calendar, Tasks or Keep. Moreover, the new side panel supports drag and drop functionality, allowing users to quickly add calendar reminders, to-do lists and notes to their emails. Other quality-of-life features include a new snooze feature that allows users to hide an email from their inbox and surface it in the future when they want to take action. There are also new quick actions that allow users to archive and delete emails without first reading them. Additionally, Gmail now features built-in offline support; users no longer need to download a standalone Chrome app to write and answer emails while their computer is not connected to the internet. Today’s Gmail update has a Canadian connection. According to Izatt, the client’s new Confidential Mode and offline support were built by Google’s Waterloo team. In addition, the team helped with ironing out key infrastructure and performance issues. “Waterloo is a great place to find engineers capable of building both front and backend infrastructure,” he said. Gmail’s new web redesign starts rolling out to users globally today.